What contractors need to understand about IR35 compliant contracts is that there really aren’t any. The contract is only one factor considered when deciding if a contractor is inside or outside IR35. But it's still important to get them right. An HMRC inspector, or judge, will look at your relationship with the client and the agency, your own company, and a whole host of other factors. They will then put aside the paper contract and form a 'notional contract' having examined the reality of the situation. Because of this, words on paper do not ever protect you from IR35 all by themselves. Just having a contract with the right words in it won’t ever make you IR35 compliant. Judges can and will cast aside sham contract clauses, as they did in one IR35 case, referring to the contract as 'window dressing'. Despite that, it will still be an important consideration for inspectors and judges, and so it is worth making the effort to get it drafted as "outside IR35 as you can. A poorly written cobbled together contract that has the hallmarks of an employment contract will only encourage an HMRC inspector to pursue a costly investigation. Whether you have IR35 insurance or not (you should by the way) the time, effort and stress of defending your status isn't something you want to invite. Surprisingly, after all the years of IR35 being in existence since April 2000, some agencies and clients still issue poorly written contracts, which position you as low hanging fruit to an inspector. Conversely, a well written contract that accurately reflects your relationship with the client should result in any investigation being shut down quickly. Are you providing you, or a set of services? Is the client hiring you personally, or are you engaging in a business to business relationship whereby you provide services? For a deemed employment relationship to exist your services would be provide personally. To disprove this many contracts have a substitution clause. Substitution is only valid if you have an unfettered right to supply a suitably qualified person to undertake the work, and that you pay for them. And if your contract says this, but the client doesn't agree, then an inspector will claim the clause is invalid. The vast majority of contractors never substitute, which means that other factors will be examined more closely. Control of your own work remains a prime consideration in determining whether or not you are within IR35. You clearly choose the work that you do on the basis that you might refuse other work from the same client. You have agreed to provide a specific service to the client. It should be clear from the contract that most decisions about how that service is to be provided are left up to you, assuming they do not affect the final deliverable. You decide what hours you work; you choose who else from your company can do the job; you provide your own equipment. It's important that you get paid for work done, rather than for time. So clauses relating to minimum hours are strong pointers to being caught within the IR35 rules. Instead use "estimated hours". Mutuality of obligation, or MOO, is present in an employment relationship. It basically means that you agree to turn up to work every day, your employer agrees to find something for you to do, and you agree to do what they ask - provided it's within the scope of why you are being hired. As a contractor, you don't want MOO to be present. This means you need to be working on a specific project, cannot be switched onto other projects, and that the contract ends once the project deliverables have been completed. Whilst termination clauses can appear to provide some comfort for you they are dangerous. 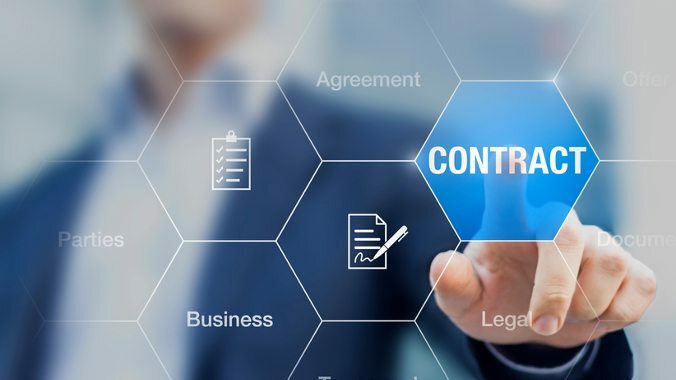 If the project is cancelled or completed and the client has to find you something else to do for four weeks, this is a strong pointer to MOO being present, and therefore the contract being caught by IR35. By all means let the client have four weeks' notice to agree to your request to terminate, but for you it needs to be based on project completion, or ideally no notice at all. The contract you use must be custom-made for your work with this particular client or agent. If the contract is just one that the agent uses all the time, some sort of standard 'IR35 compliant form,' it won’t cut much mustard. The judge will expect to see that both you and the client made a special effort to come to a specific agreement for this particular project. You might well make a different one for a different project, or you might use a similar one, but the contract reflects both of your specific intentions. If you produce a standard contract from an agent, you won’t get far. The judge will simply say that the contract may or may not reflect your real working relationship with the client. The judge will then insist on proof of what you are really doing with the client on this project, and look at what actually happens. The agent can certainly start with a boilerplate contract, but it needs to be tailored to your work. This is why an IR35 and legal commercial terms review is recommended for every contract that you consider signing. The question of your own financial position will unquestionably arise if you are obliged to contest IR35 status under a given contract. Employees are protected from any exposure to financial loss, whatever involvement they may have in a given project. An employee collects salary regardless of the financial gains or losses that the employer may suffer (unless the employer suffers so much that the employee gets made redundant). This is not the case for a contractor, who may find a project abbreviated or terminated before completion, and who then may not collect the full fee. Exposure of this kind can be a key factor in determining IR35 status, and it should be clear in any contract that you sign. If you appear to have employee protection, the judge may consider you one. The general principle is simple: demonstrate that you are an independent contractor, running your own company in your own way, providing services in a B2B manner and you should easily fall outside IR35. A contract that reflects this status will help combat any investigation by HMRC, but you have to make you do the work of staying outside IR35 yourself.